, new chief strategy officer Matt Springate and TBWA AUNZ CEO Paul Bradbury. The Woolmark Company is the global authority on wool. It conducts research, development and marketing along the worldwide supply chain for Australian wool on behalf of the 60,000 woolgrowers in Australia. In recent years, The Woolmark Company has partnered with iconic fashion brands including Raf Simons, Zegna, Tommy Hilfiger and Paul Smith on marketing campaigns. The first campaign from TBWA Sydney is expected to launch in mid-2018 in the USA, UK, Europe, China and Japan. The Woolmark Company Managing Director Stuart McCullough says the brand was impressed with TBWA Sydney’s strong strategic thinking. The agency will be tasked with positioning Merino wool as the fibre of choice for the millennial market. “The Woolmark brand is one of the world’s most iconic logos and since its creation in 1964 has been applied to more than 5 billion products worldwide,” McCullough says. “However, the meaning behind the mark resonates less with the new generation of consumers and we are setting out to change this." TBWA’s media partner for the pitch and the business going forward is OMD New York. 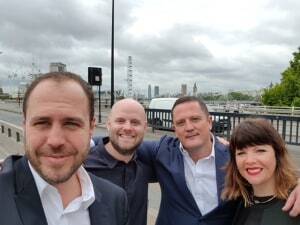 TBWA Sydney Chief Creative Officer, Andy DiLallo; TBWA Sydney Chief Strategy Officer, Matt Springate; TBWA Australia & New Zealand CEO, Paul Bradbury and OMD Social, US Director, Kerry Perse. 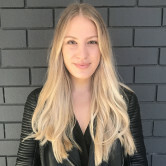 TBWA Sydney has won the global creative for The Woolmark Company following a competitive pitch against agencies from New York, London and Sydney, AdNews can reveal. The Woolmark Company’s win was the first new business pitch led by the new TBWA Sydney leadership team of chief creative officer Andy DiLallo, new chief strategy officer Matt Springate and TBWA AUNZ CEO Paul Bradbury.